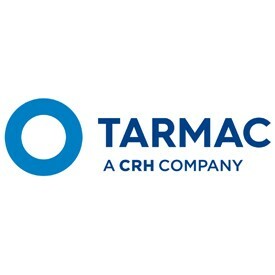 Tarmac, a CRH company, is the UK’s leading sustainable building materials and construction solutions business. Our innovative products and solutions not only safely deliver the infrastructure needed to grow the UK economy today but also help to create a more sustainable built environment for the country’s long term future. There is often a major disconnect between the actual performance of some buildings and the predicted design stage calculations. Not only is this detrimental to the UK’s ability to deliver its binding carbon reduction targets, this performance gap increases occupier operating costs and damages the sector’s ability to deliver other positive sustainability outcomes such as workplaces which boost productivity. The question of how the construction and property sectors can better combine to close this gap is the focus of Delivering Building Performance – a recent UK Green Building Council (UK-GBC) report. The report task group, which included input from Tarmac, recognised that the definition of building performance should be considered as more than saving energy and cutting carbon; it also relates to how a property supports the needs of occupiers and enables improved health, wellbeing and productivity. The report sets out five recommendations for property clients, investors and their construction supply chains which, if adopted more widely, could help deliver more buildings that are sustainable and better serve occupiers. The first step: aspiration. This may seem obvious but corporate real estate clients often do not set clear and challenging targets for operational building performance early in the design process. What targets could be employed? The task group has proposed the introduction of a kWh per sq.m target to measure building performance. Although energy output is one factor, it provides a good proxy for measuring other factors which impact performance such as indoor air quality, thermal comfort and lighting – all proven to directly affect human health and wellbeing. Second, delivering good building performance requires good control of the procurement and delivery process; an integrated project delivery approach; and client commitment to validating operational performance. This should help to avoid common issues such as unmanaged risks, lack of early engagement and uncontrolled value engineering which are all a symptoms of fragmented supply chains. Third, there is a need to design for performance, not just compliance. This requires a better understanding of occupier use and operating models as early as possible in the design stage. Practically, designing for performance can be achieved by several simple processes: engaging occupiers in the design process through to working with building materials providers to understand the whole-life performance of their products in-situ. The fourth step is listening to occupier feedback. Obtaining feedback from building occupiers and facilities managers can create benchmarks to inform future construction projects and constantly improve the management of existing buildings. It is not enough just to finish a construction project and leave the end-users to get on – we must find out what works and what doesn’t - by encouraging collaboration between landlord and tenant, for example. The report’s final recommendation is the need for property clients, financiers and their delivery partners to have the knowledge and necessary skills to better understand building performance. The reality is that some property investors and their agents are not sufficiently engaged in this debate and their technical knowledge is varied. A solution could be that property investors appoint a specialist with the responsibility to drive performance throughout the project. For too long there has been a disconnect between the actual performance of some buildings and notional building calculations. There is great scope to close the building performance gap but it will require a greater understanding of occupier needs, robust targets, measurement and better collaboration between clients and their wider supply chains.